Save your story. Turn the pages. Just create an account and use the demo. 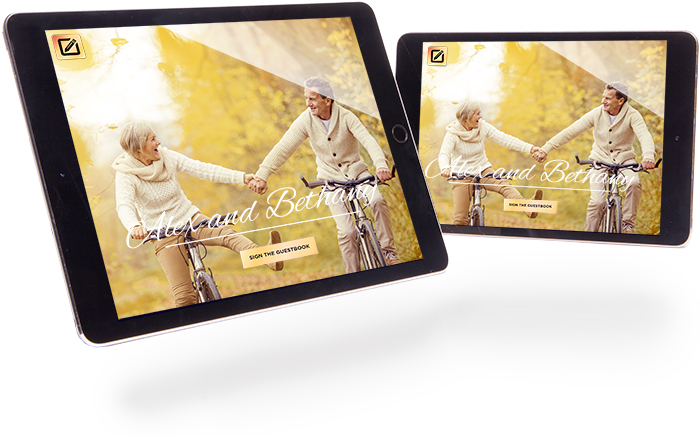 My Digital Guestbook transforms the guestbook experience for the joy and convenience of the planners, hosts and guests. 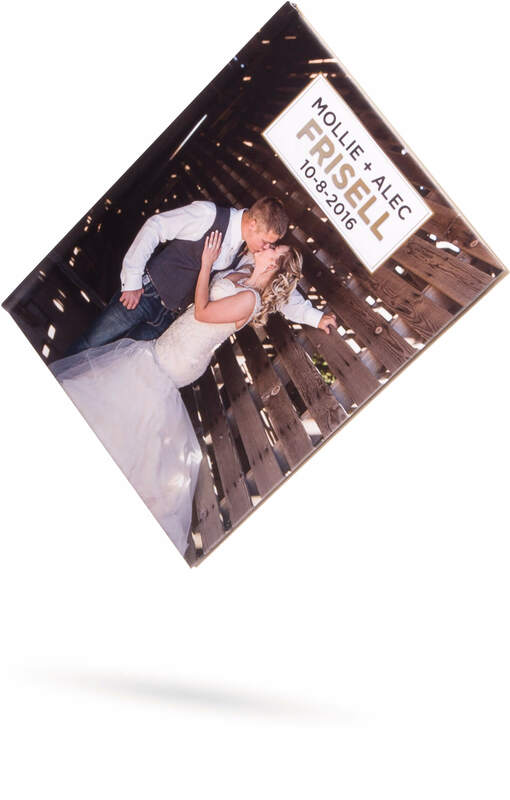 Whether you're planning a wedding, a fundraiser, a graduation, a sorority mixer, a birthday party, or any other gathering, create a guestbook that captures the people that matter. My Digital Guestbook transforms the guestbook experience for the joy and convenience of the planners, hosts and guests. 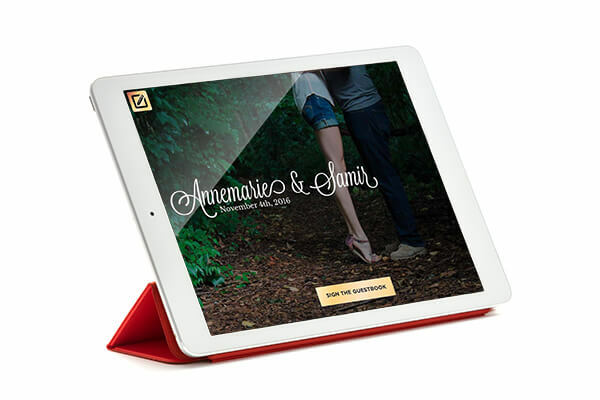 Create a guestbook that captures the people that matter. 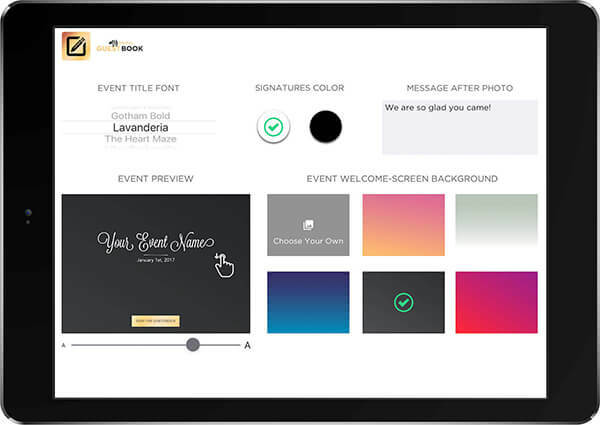 Greet your guests with personality using our customizable app and allow them to take a picture and sign the image. Download our app on as many iPads as you need. Taking a photo and signing takes seconds. These images are available for your immediate download even before we ship you the book. 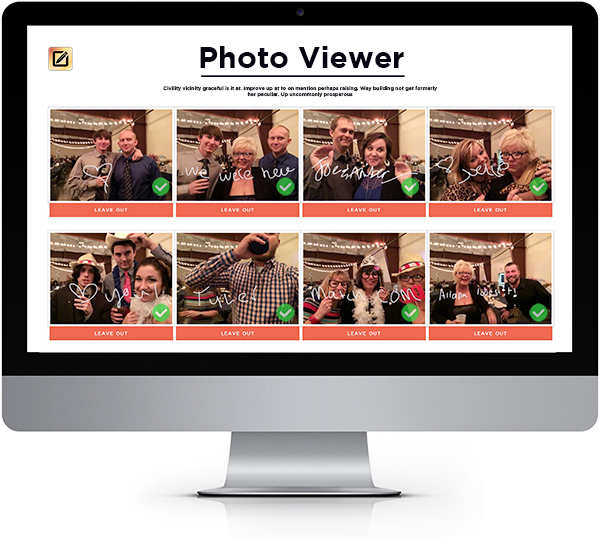 After your event you will be able to review and approve the photos online and finalize exactly what you would like. Greet your guests with personality using our customizable app and allow them to take a picture and sign the image. Download our app on as many iPads as you need with no additional cost. 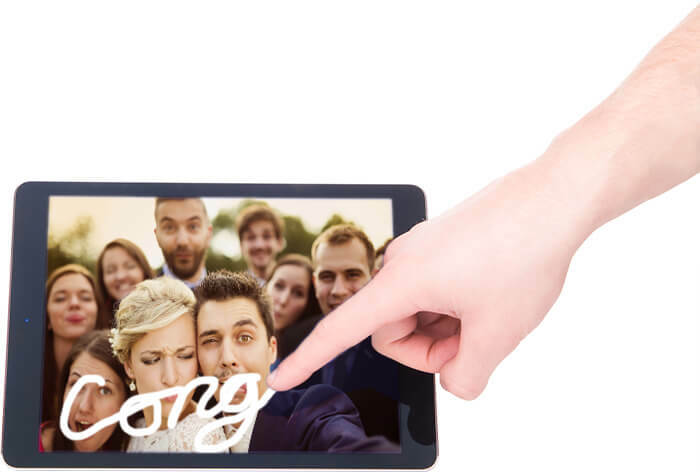 The My Digital Guestbook app is perfect for a photo booth. No bulky "blow up booths" to be set up and taken down disrupting your party, just put your iPad in a stand. Leave the photo booth up as long as you like without expenses hourly charges. Your guests will have fun using the 5 second timer to get that perfect pose. 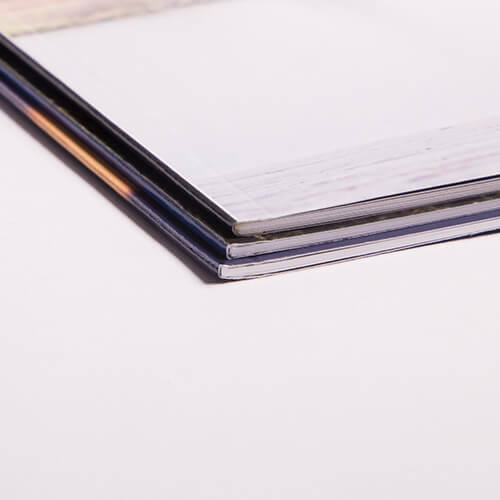 After your final submission, sit back, relax, and we'll deliver a beautiful guestbook right to your door. We've created a format that does all of the organizational work for you, without cutting out the freedom to make your event and book personal. You still have control over the appearance of the essentials. You can edit and make changes every step of the way. Welcome your guests with your event photo of choice. Names are important and so we leave the naming up to you. when your guests finish signing and taking a picture you can personally thank them for coming with your own written message. 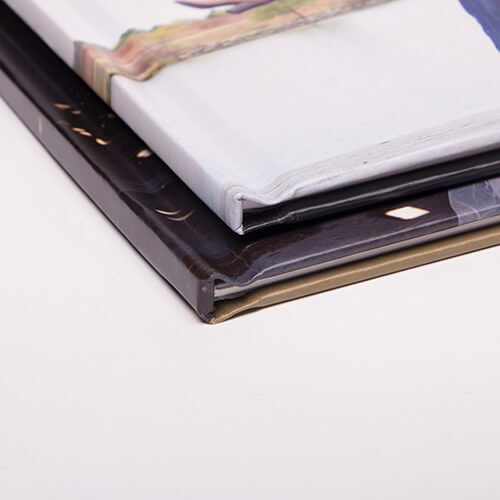 There is no guessing for you and nothing left to chance regarding what goes into your photobook. Select only the photos you want by logging in online. You can also download them right after they've been taken! 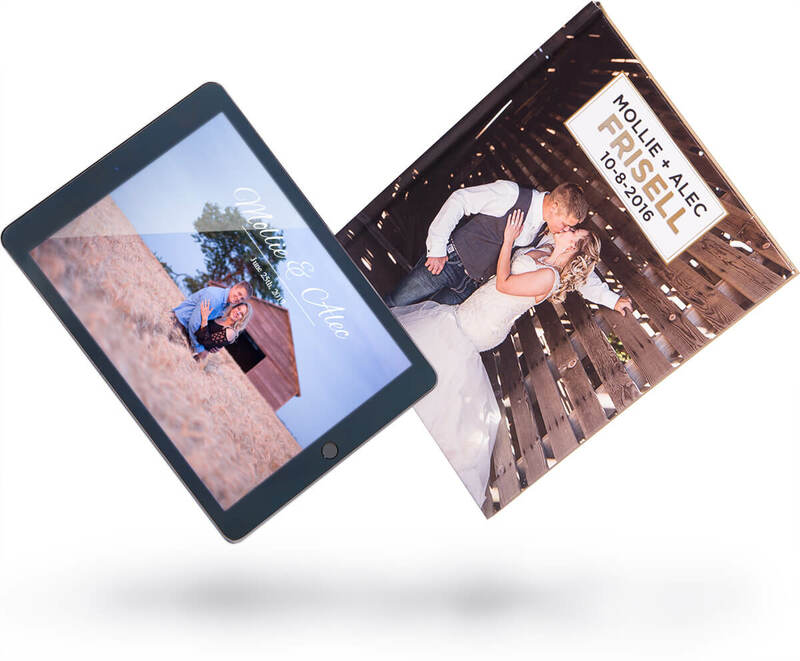 Our base package comes with access to use the app on as many iPads as you would like, 192 photos, and one hardcover book. You can always upgrade or make additions to your package at any time before your final submission.